The King of Rock and Roll haunts more than Graceland; even his daughter has had encounters with him in Nashville! Readers of my books Strange Tales of the Dark and Bloody Ground and Ghosts and Haunts of Tennessee may assume that I had written quite enough about the King in both books; but they would be wrong! 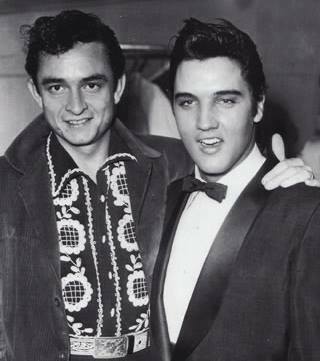 No matter where you go, it seems that the restless rockin’ ghost of Elvis is likely to make his presence known to us. In Strange Tales I mostly focused on Elvis sightings in West Tennessee, particularly at Graceland. Of course, many who have seen him at his favorite haunt have refused to believe him dead—hence the widespread Elvis Lives! urban folklore. In my chapter on the King in Ghosts and Haunts of Tennessee, I focused on his haunting other cities as well, including Las Vegas (VIVA!) and Nashville. Although Elvis is not generally associated with Nashville, in truth Music City had quite a bit to do with his rise to fame. This was where Heartbreak Hotel was recorded and quite a number of his other hits. When he came to town, strangely, he did not lodge in some glitzy glamorous hotel (the city had them even then); no, he would stay in a simple cinder-block guest house out behind his manager’s house, Colonel Parker. The Colonel’s house still stands, although it has been turned into law offices and its front yard into a parking lot; likewise the little cinder-block special stands, although much improved and the metal bars taken off the windows. They side on the right side of Gallatin Road in Madison, 1215 Gallatin Road South. Go to https://www.youtube.com/watch?v=IPKS6D_OlDE for a rare look inside Colonel Tom Parker’s old digs. The studio in Nashville where Elvis first recorded some of his greatest hits, however, is sadly not standing anymore. It was on a side street off Demumbreun Street, in the Music Row District of Music City. This first RCA Studio was admittedly not fancy looking: in those days, the record companies wanted things cheap, so no fancy glitz and glamour. While it is now the site of a used car lot, for many years it had quite the reputation for being haunted. Jim Owens TV used it as studios for a number of years and just about every person who worked there had some kind of uncanny encounter. No one who worked there doubted the King was making his presence known. 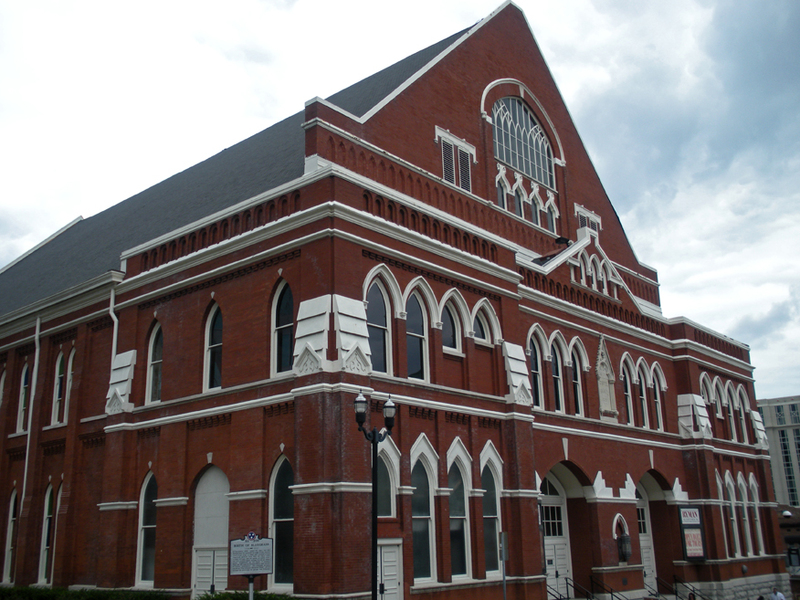 One spot where Elvis performed is also thought to be haunted by him: none other than the Ryman Auditorium, original home of the Grand Ole’ Opry. You may not have ever heard he played there because he only did it once, and the memory of it was not a pleasant one for him. Somehow old Swivel Hips got booked onto the Saturday Night Show of the Opry back in the early ‘50’s. Well, you have to understand that in those days the Opry was pretty straight-laced: no drums, no saxophones, etc. So you can imagine when the singer whose hips were blacked out when he performed on the Ed Sullivan TV variety show got up on stage. He was literally booed off the stage by the audience of Country purists. As he was walking offstage, a know-it-all Nashville music producer gave him some sage advice. 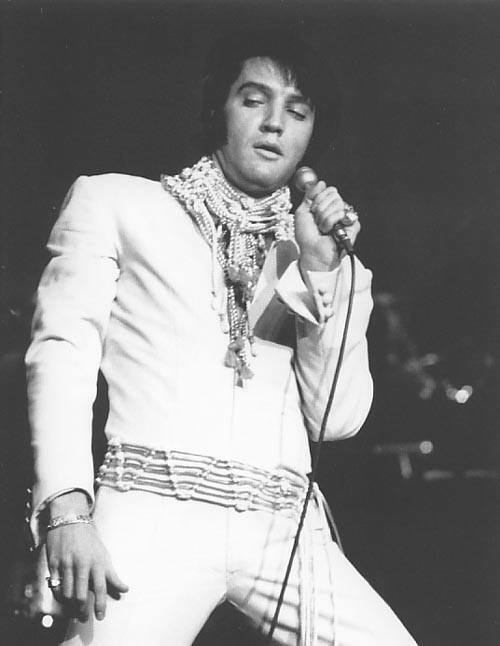 He said, “Son, get out of the business, you’re never gonna make in music.” Needless to say, Elvis didn’t listen to him and the rest is history; but Elvis never performed live in Nashville again. A few years back his daughter, Lisa Marie Presley was doing a show at the old Ryman. She was headed back to her dressing room and about to go in and take off her makeup and such, but the door would not budge. Even her burly bodyguard could not open it. Finally, she and her guard heard the distinct sound of her father’s laugh ring out and suddenly the door opened with ease. Big Daddy had made his presence known to Lisa Marie! Or course, Las Vegas had a longtime relationship with the King of Rock and Roll also, especially during his jumpsuit years. Elvis’s Penthouse Suite in Vegas (now broken up into three smaller luxury suites is also reputed to be haunted by the King: Here’s another rare look: https://www.youtube.com/watch?v=6ZSH59uWKUM . His immense penthouse atop the Vegas Hilton is known to have a particularly strong aura of Elvi about it—but that’s another story. For these and other true tales of the uncanny, go view Ghosts and Haunts of Tennessee and Strange Tales of the Dark and Bloody Ground. Thank you very much, thank you very much.